The car repair chain AutoZone has been in legal trouble for transferring an African-American man from a store with primarily Latin-American clientele to one with primarily African-American clientele. To make things worse, the evidence showed that it was part of a concerted plan on the part of AutoZone to, over time, match the ethnicity of their store employees to the ethnicity of the majority of the clientele of a given store. The man who was to be transferred, one Kevin Stuckey, was fired after he refused the transfer. If separating stores by race sounds like segregation to you, that’s because it’s basically the textbook definition of it. The Equal Employment Opportunity Commission (EEOC) certainly thought so, and brought a Title VII claim against AutoZone over their practice of intentional segregation. However, in a recent ruling, the EEOC was handed a shocker of a loss. Let’s take a look at the EEOC’s claim and why the court chose to rule the way they did. The lawsuit brought by the EEOC made a claim under a less common source of liability for employers under Title VII– section 2000e(a)(2). Section 2000e(a)(2) makes it illegal for employers to “limit, segregate, or classify…employees or applicants … in any way that would deprive or tend to deprive [them] of employment opportunities or otherwise adversely affect [their] status as an employee [based on a protected characteristic such as gender or race].” This is a lower requirement than the usual Title VII claims alleging adverse employment action based on a protected characteristic. As we’ve discussed in the past, adverse employment action includes things such as firing, refusal to hire, demotions, refusing promotions or pay raises, and transfers to a generally less desirable position. The EEOC’s claim, on the other hand, needed only to establish that AutoZone had acted in a way that tended to deprive Mr. Stuckey of an employment opportunity. The first part of the EEOC’s claim was to simply prove that there had been segregation based on race. AutoZone obviously contested this, saying that Mr. Stuckey’s transfer was due to a combination of his inability to understand Spanish and failure to get along with the manager at his location. The EEOC’s case, however, was quite strong. They produced evidence, and even testimony from the manager of Mr. Stuckey’s location, that AutoZone was engaged in intentional segregation based on majority clientele for a given store. 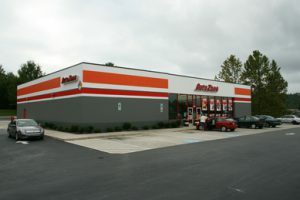 AutoZone had an establish practice during the time of only hiring Latin-American employees for the location-regardless of their ability to speak Spanish. Unfortunately for Mr. Stuckey and the EEOC, the court didn’t feel they needed to consider whether segregation took place–intentional or otherwise. They instead focused their ruling on whether or not Mr. Stuckey’s required transfer would have had a negative impact on his employment situation. As mentioned before, segregation cases are fairly rare these days, so perhaps due to the lack of case law on the issue the court decided to examine the potential for negative impact on employment in a very similar manner to the higher standard of an adverse employment action. They focused on the fact that the transfer was a lateral one, no difference in duties, pay, or hours, in determining that Mr. Stuckey’s transfer would not tend to deprive him of an employment opportunity. The EEOC argued that if the segregation element of Title VII does not cover intentional segregation, it’s a particular odd choice to have a separate rule for it. They further argued that the humiliation and embarrassment of being subjected to racial discrimination was by itself enough to give rise to a cause of action under Section 2000e(a)(2). They reasoned that it doesn’t make sense that the law allows intentional racial segregation of employees so long as the situations are equal–the very definition of separate but equal. Unfortunately, the court did not agree and ruled that without a situation that sufficiently damaged Mr. Stuckey to create a claim it did not need to bother considering whether AutoZone had actually segregated its employees. Unfortunately, this Seventh Circuit Court of Appeals ruling does mean what the EEOC feared in its arguments-employers seem to be able to legally intentionally segregate their employees so long as they don’t do so in a way that damages their economic situation. This seems almost too ridiculous to be the case. However, the next step of appeals from the Seventh Circuit Appeals Court would be up to the highest court in the land-the U.S. Supreme Court. The Supreme Court reviews only a very small portion of cases and, given its current conservative make-up, it is hard to predict the result of such an appeal. For now, this is the final word on this topic-regardless of if it seems to fly in the face of the law itself.